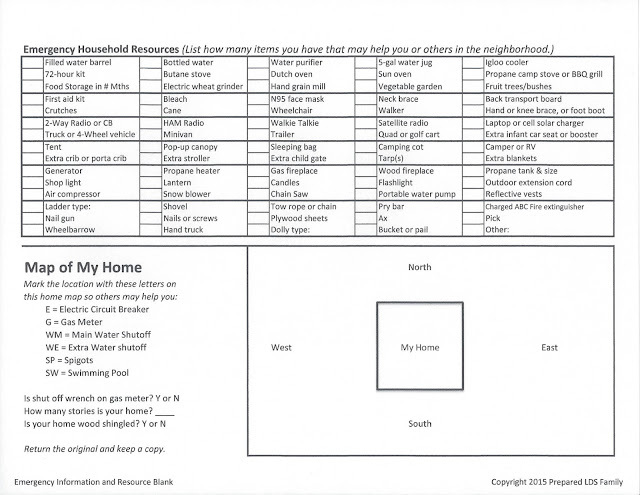 Last year I served as an emergency resource (data collector) in my ward/area, and created spreadsheets to collect emergency information from people living in 100 homes in my neighborhood. Each household filled out one Emergency Information and Resource form which has places to enter emergency information, personal contact information, skills, resources and the utility shut off areas of a home in case an emergency leader needs to use them. I've been assigned again to assist an emergency neighborhood block captain and emergency neighborhood communications leader, and we are responsible for 25 homes. Yesterday we passed out the Emergency Information and Resource form. 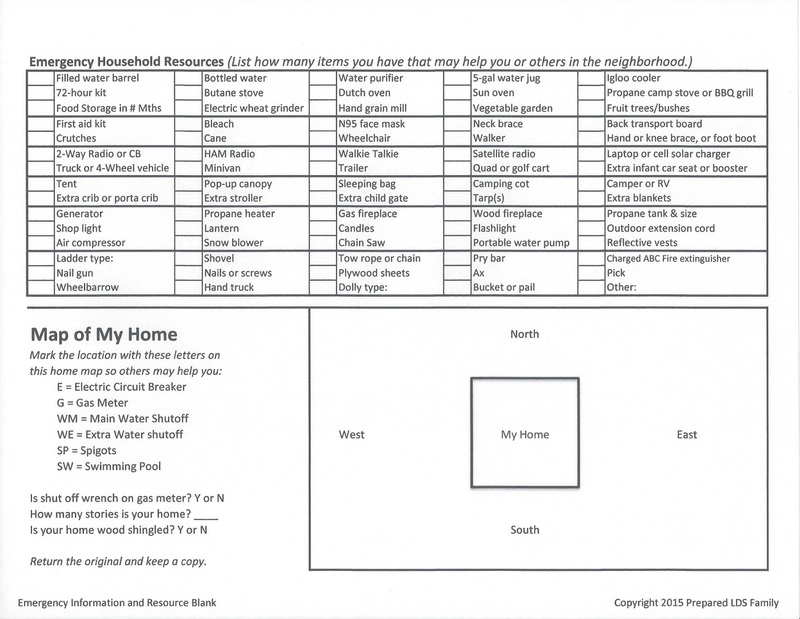 These forms may help your ward or stake get more organized for emergencies. 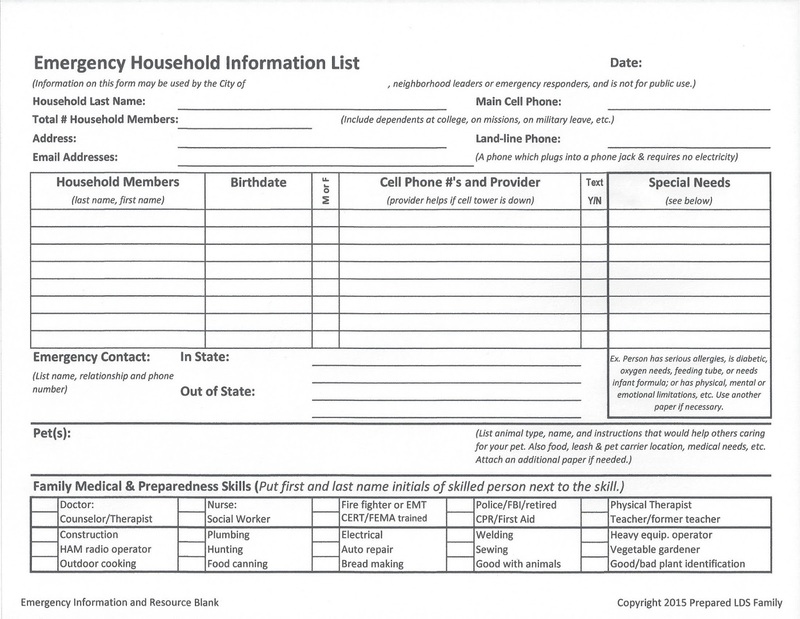 Those of you serving in emergency preparedness callings, or just a few neighbors or families trying to be more emergency conscious, may find these forms valuable. I'm also sharing additional forms to consolidate neighborhood resources, skills, medical specialists and special medical needs for your emergency leaders. When filling out the forms, you share what they feel absolutely necessary. You have your agency, of course. Now that I've been CERT trained, I see that NOT sharing some of your personal information will delay contacting family members if you were unconscious or dead. The decision is yours what you want to share, but think about it. 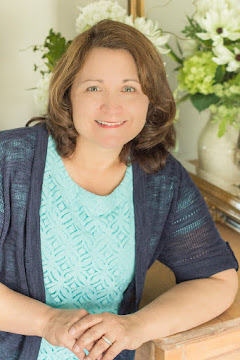 If you happened to be out of state, would you be willing to let others use your food? If they needed your ladder to get someone out of a home, could they? There is no right or wrong answer to this question, but those that have lived through disasters will understand. Reviewing the form will also give you time to think how prepared you really are for emergencies. I looked through the buckets we keep some emergency supplies in, and found they were cracked on the bottom. Glad I looked. Got to replace them. Plastic cracks over time. Wards and stakes are free to use and share these forms. I only put my website name on as a reference.